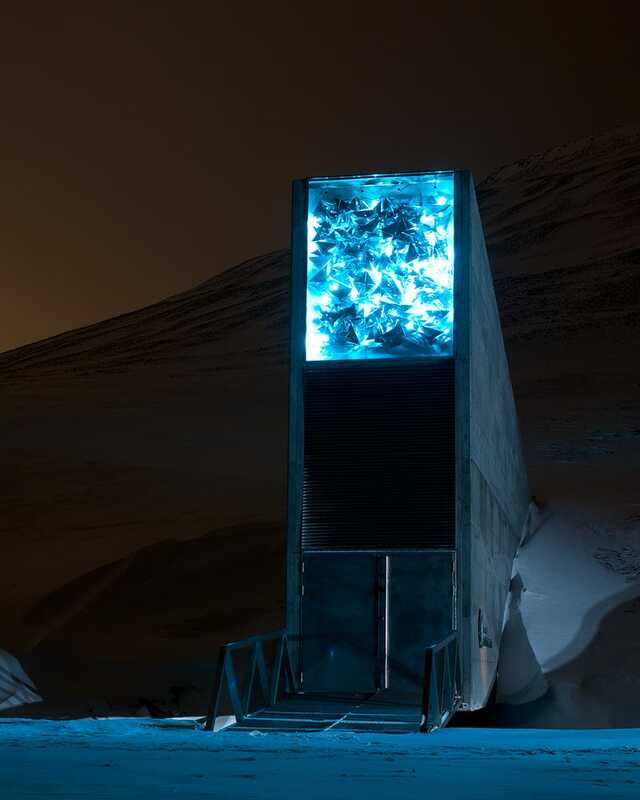 I didn't know that the Svalbard Seed Vault—the doomsday ark that will keep safe the seeds for 820,619 plants in case of nuclear war, massive natural catastrophes, or asteroid impacts—looked this amazing at night. It clearly looks the part. High five, architects.